My movie choice, Gosford Park, is set on an English estate in November 1930’s. It’s a “who done it”, with an interesting mix of the upstairs and downstairs staff and the British elite. It’s a bit of a nod to Charlie Chan Mysteries or Mrs. Marple series humor and intrigue. If you are a fan of Downton Abbey then you will enjoy this movie, and you may recognize Violet Crawley, Dowager Countess as Lady Constance Trentham (Maggie Smith). For the pizza, I couldn’t do something common. I came up with something very British; something that all the social classes would enjoy. 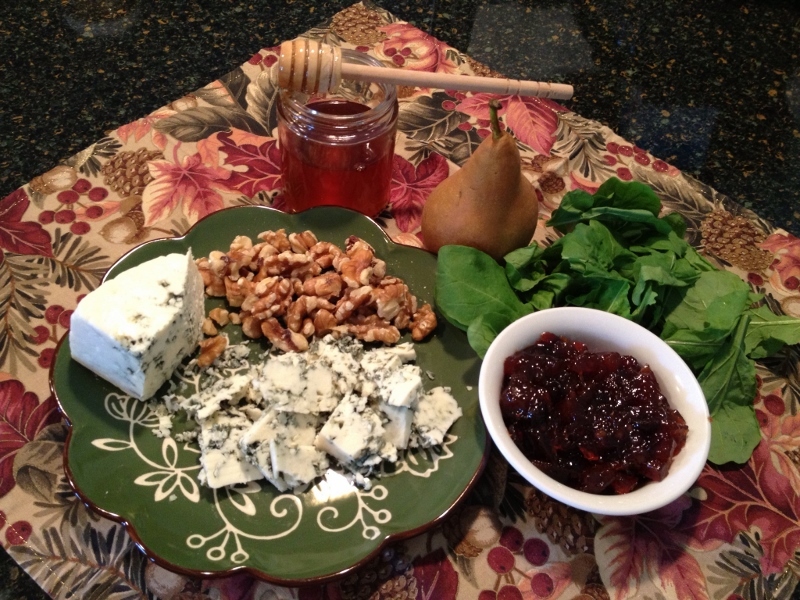 I used elements from several of my last baskets and add-ons to make a lovely Fall inspired chutney, (Aunt Constance would surely frown on bought chutney) which will serve as the “sauce” for my pizza, add some English Stilton cheese, rocket, (arugula) a sliced Bosc pear, walnuts, and a drizzle of raw honey. The crust is a basic one using a bit of Extra Virgin Olive Oil (I used the imported one from Bountiful Baskets) and bread flour. 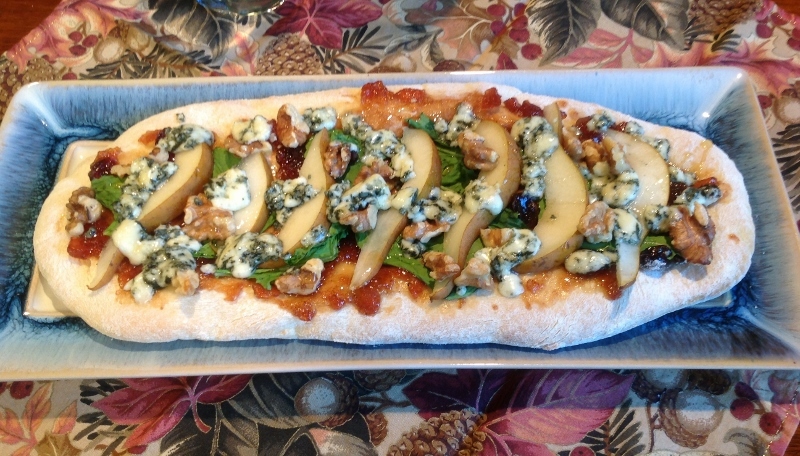 The finished pizza has the flavors an apple/pear tart with a bit of bite from the blue cheese and peppery arugula and bitter of the walnut, all brought together with a light drizzle of the raw honey. The question that still remains is what beverage do I serve with it? 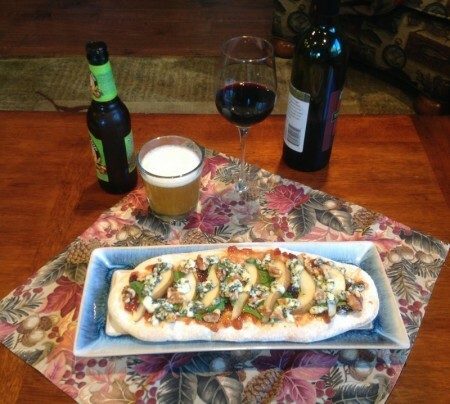 A nice Ale or a lovely glass of Cabernet? I guess you will have to decide whether you are with the staff or the nobility? 1 envelope instant yeast (2 1/4) tsp. 2 Tbsp. olive oil, plus 1/2 tsp. more for bowl. In the bowl of electric mixer add all the ingredients. Using the dough hook, mix on low until dough forms a ball. Turn up speed to med/low for 2-3 min. Turn out dough on a lightly flour surface and knead for 2-3 times and form a ball. 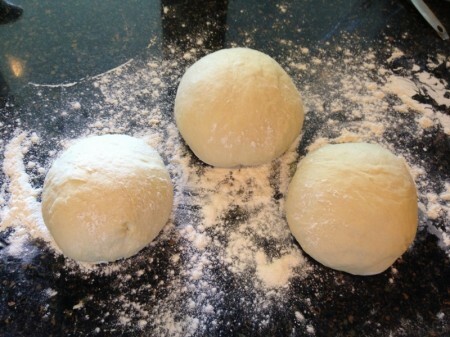 Add ½ tsp olive oil to a large bowl, place dough in bowl turning once to coat. Cover with a dish towel and place in a warm place until dough doubles, approximately 1 hour. Roll to dough to desired shape and thickness. Place on a pizza pan or lightly floured baking sheet. For regular pizza add sauce and toppings and bake in a 375* oven until cheese is melted, 12-15 minutes. In a large sauce pan, combine apples, sugar, rhubarb, water and lemon zest and juice. Reduce heat and cook for 15 minutes, stirring frequently. Add cranberries, ginger, cloves, cinnamon, nutmeg and salt. Simmer, stirring frequently, until thick enough to mound on a spoon. Store in a jar or cover dish in the refrigerator. Roll out a small ball of basic pizza dough, place on a lightly floured baking sheet, and bake at 375° for 5-8 minutes until just starting to turn golden. Remove from oven and place the hot pan on a heat safe surface. Spread on the chutney, add arugula, sliced pears, cheese and walnut. Bake pizza for 2-3 minutes, just until the cheese begins to melt. Remove from oven, place on serving plate and drizzle with raw honey. 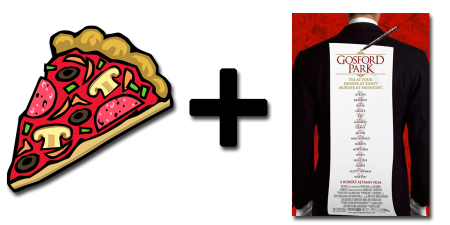 For larger pizza double or triple above portions.